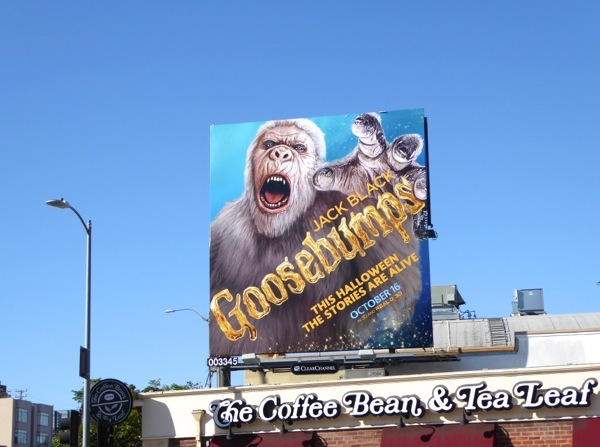 Sometimes an outdoor ad campaign comes along that really captures your imagination and makes you look twice. 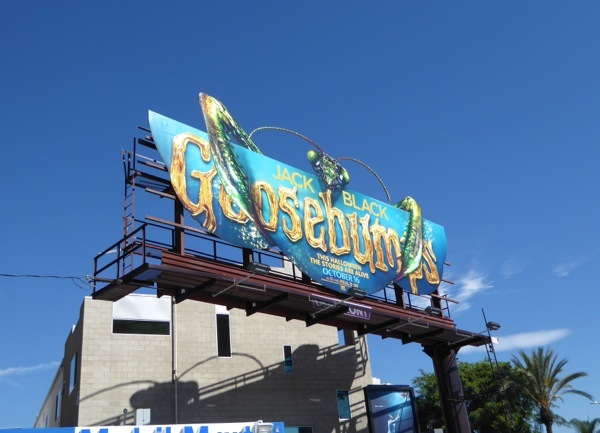 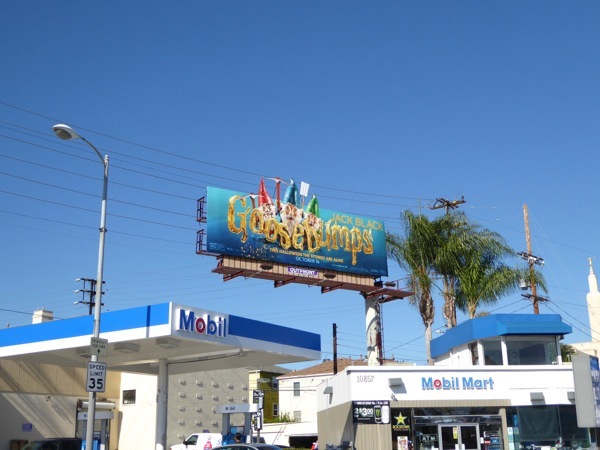 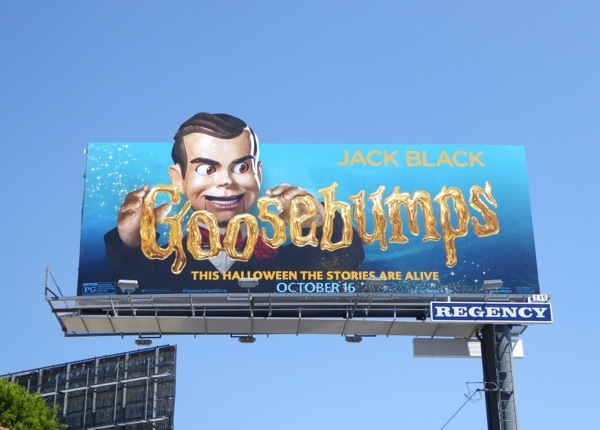 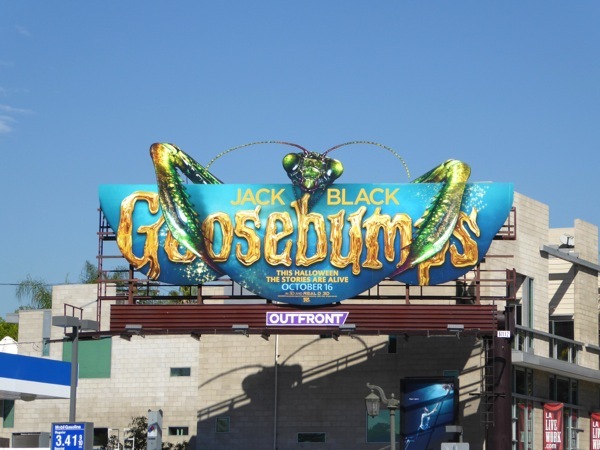 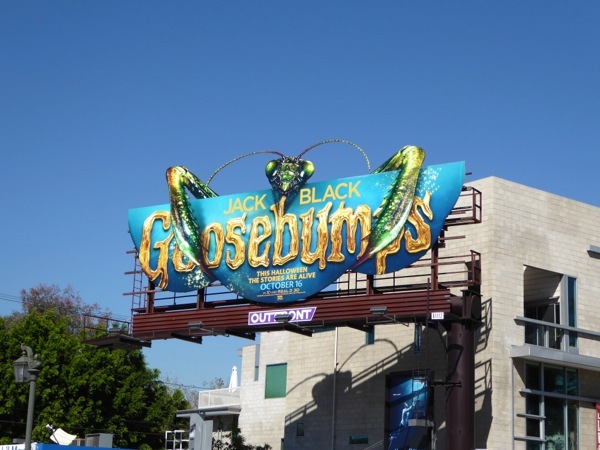 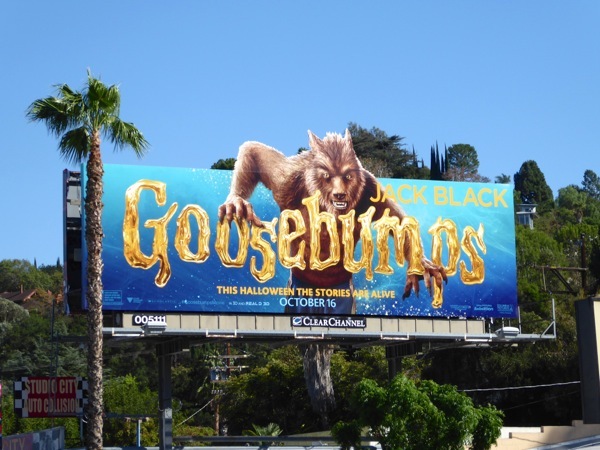 These eye-catching billboards for the new live-action Goosebumps movie is just such an example. 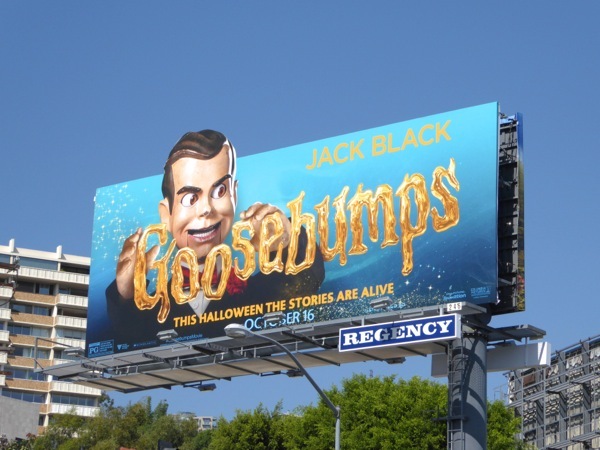 A giant praying mantis, a werewolf, lawn gnomes, an abominable snowman and a creepy ventriloquist dummy are just some of the supernatural creatures coming to life and leaping from the pages of R. L. Stine's much-beloved 90s children's horror fiction thrillers just in time for Halloween. 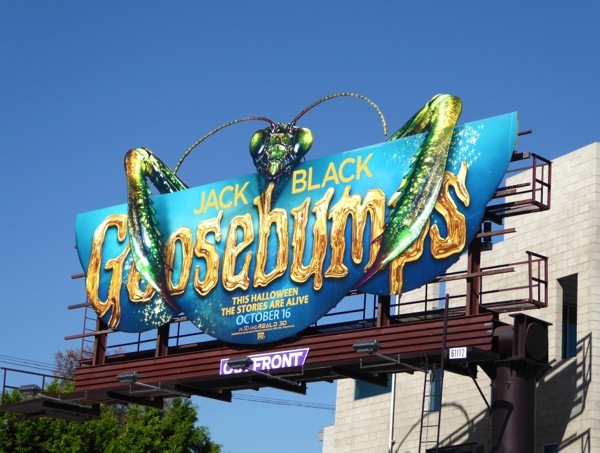 In the comedy horror Dylan Minnette plays 'Zach Cooper', a boy who moves next door to Jack Black's fictionalized version of the author and his daughter 'Hannah' (Odeya Rush), and accidentally releases the writer's imaginary demons upon the small town of Greendale, Maryland. 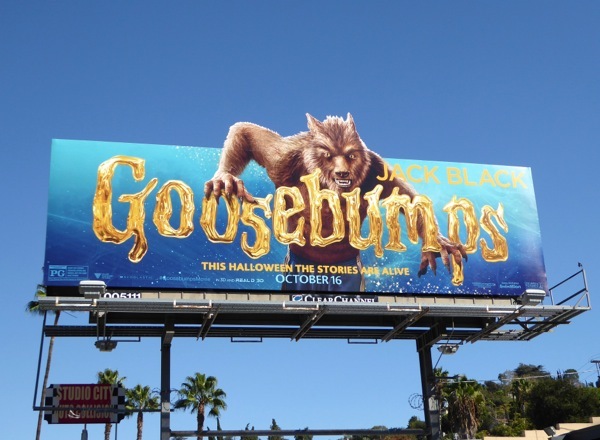 Now they must band together to put all these terrors back into the Goosebumps books where they belong. 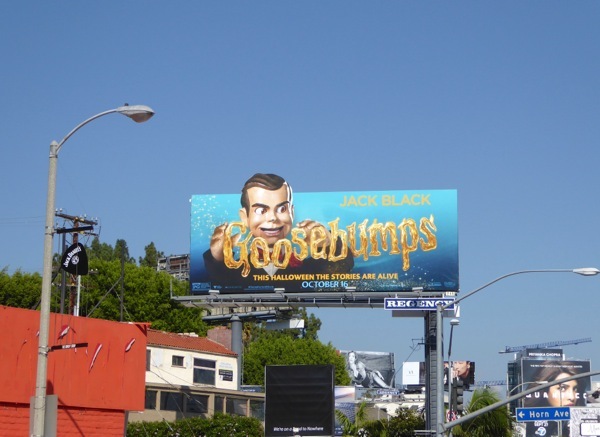 The disturbing ventriloquist dummy special extension billboard for the movie was first spied along the Sunset Strip in West Hollywood on September 23. 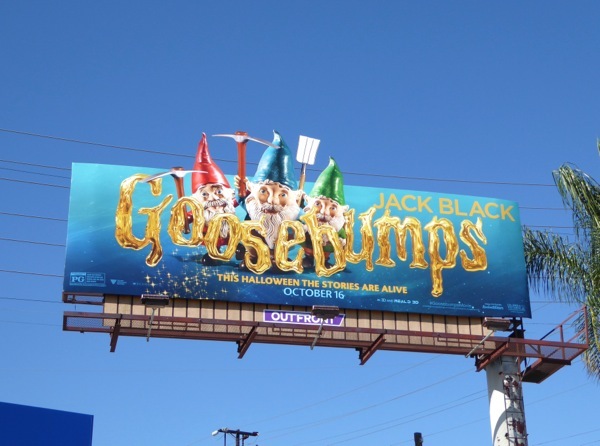 Meanwhile the other gnomes, abominable snowman, werewolf and praying mantis billboards were photographed along Beverly Glen Boulevard, Highland Avenue, Westwood Boulevard, Pico Boulevard and Ventura Boulevard in Studio City through October 11, 2015. 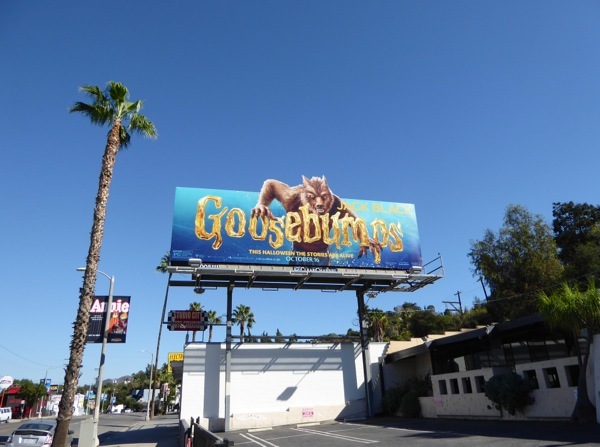 Daily Billboard especially likes the praying mantis creative as it's cleverly designed to look like the creature has chewed through the billboard hoarding holding the ad up. 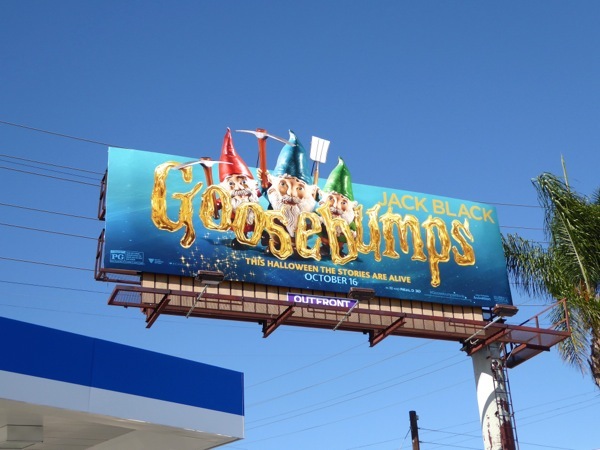 If you're a fan of funny man Jack Black, you can actually see him in this Gulliver's Travels movie billboard and these billboards for The Brink TV series. 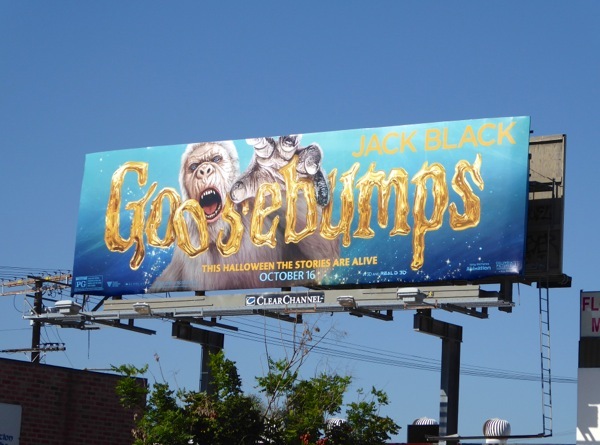 Plus fans of author R. L. Stine should also check out these billboards for The Haunting Hour TV series. 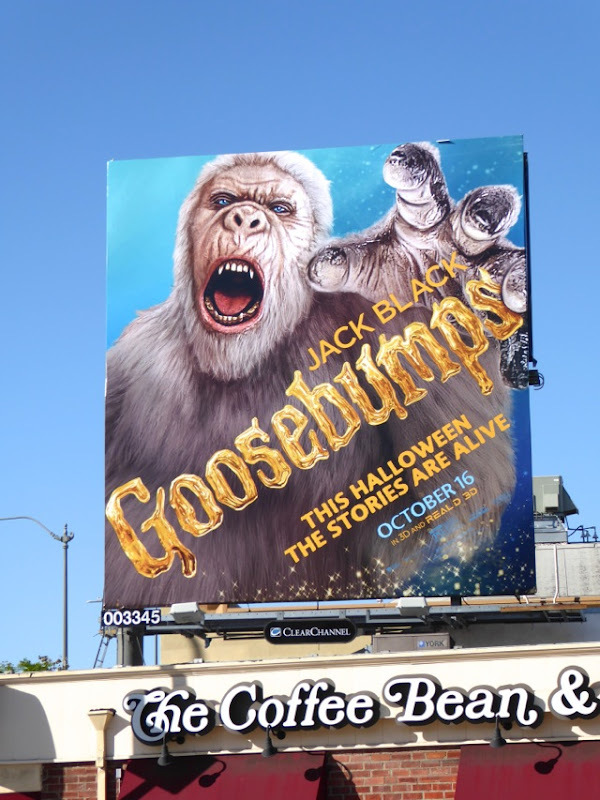 Do these spectacular billboards give you Goosebumps, and will you be treating yourself to this parade of spooky monsters this weekend to get you in the Halloween spirit?